The occupant believes there are 3 demons in the house, maybe a poltergeist. At night, things fly off the shelves, her kids are being touched. They are being harassed and attacked. It’s been going on for a long, long time. I truly believe this is going to be the MOTHER of all paranormal investigations. The occupant named Julie told me a long story, too much to write about. The townhouse is about 30 years old, right next to Sutter’s Fort and I know Sutter’s Fort is haunted, I actually captured an EVP of galloping horses and there was no horses around. I have a feeling this one is going to be good! See you there! 3/2/2019: This place is CRAZY haunted. It’s an old place on land that has a ton of history. For crying out loud, this home is next to Sutter’s Fort and Pioneer Congregation United Church of Christ. 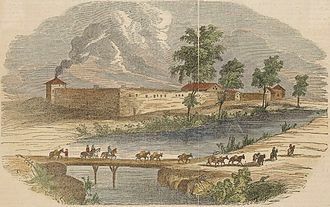 HPI (Halo Paranormal Investigations) has actually investigated Sutter’s Fort and captured an EVP of horses galloping and there were no horses around. We also did an investigation at the Church mentioned above and captured a congregation praying out loud and there was no one inside the church. So, when I received information about this home, I was convinced that this place is haunted. The evidence we captured tonight was mind blowing! Special Note: This home has a variety of animals, such as a huge African frog; another frog; guinea pig, white mice, etc. When Deanna did her cleansing, she did a cleansing on the animals. HPI Paranormal Investigators Roll Call: Paul Dale Roberts – HPI Co-Owner; Deanna Jaxine Stinson – HPI Co-Owner – Psychic Medium; Kathy Payne Foulk – Sensitive; Steve Foulk – Empath; Alaceo ‘Big Al” Rosatano; Christina Vonacek; Justin Mather; Kathy & Steve Foulk’s son. The occupant is named Julie N. Miles, she has been living here in this home for 9 years. The first day she moved in with her family, they witnessed paranormal activity. Here are the following entities that haunt this home. The Lady on Top of the Stairs: This entity was sighted by some of the family. In 2015, the daughter of Julie ran from her room screaming. Possibly from The Lady on Top of the Stairs? Fred the Tulpa: Fred started off as an imaginary friend for Julie’s daughter, but he manifested into a tulpa. He is described as tall, lanky with long black hair, no face, creepy looking. He rattles things, slams doors, etc. Fred would follow the daughter to school. The Trenchcoat Entity: This is a scary looking entity, has craters for eyes, big nose, has dead flesh and is partially transparent. 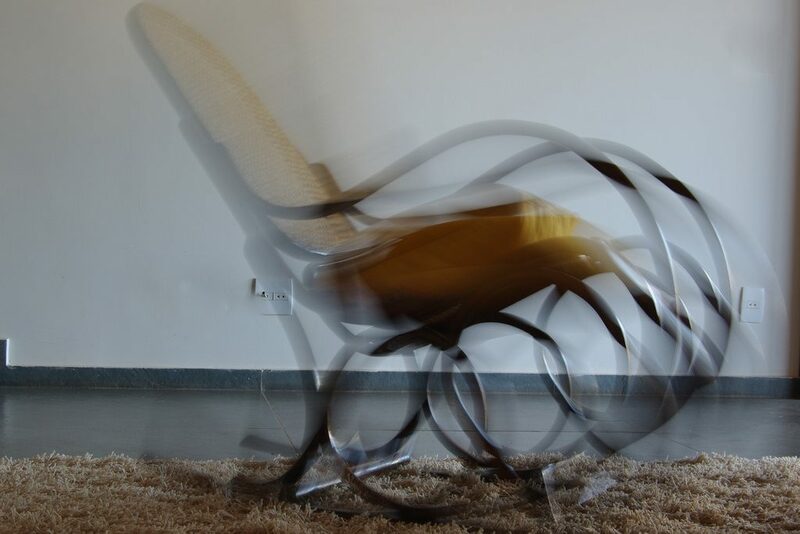 Rocking Chair Ghost: This entity looks like a corpse, has dead flesh for skin, transparent and rocks the rocking chair. L Street Gargoyle: This gargoyle type of creature can look like a woman with dark hair and will prevent the family from walking upstairs. She will guard the stairwell. Crazy Hair: This ghost has black greasy hair, appears in the bedroom. He will walk through people, and has bounce off a person’s chest. Wears a white ring. Special Note: The occupant Julie Miles had her family at the investigation, her son, daughter and husband who we got to meet in the beginning of the night. EVIDENCE COLLECTED:Julie’s daughter tells us that one of the entities dropped liquid on the floor. From some of the antics that the entities conduct in the house, it causes the family irritation and frustration. The family wants the entities out. Julie’s daughter’s friend received claw marks on her body and has been hearing demonic voices in her head. The demon wants her to cut her wrists, in which she has done this. The demon has told her to kill herself. The girl with the demonic attachment has been in Julie’s house and this girl may have brought some negative energy into this home. Justin Mather captures the first EVPs, the sound of scratching and a bumping sounding noise. Deanna gets pinched in one of the bedrooms. Christina gets a large scratch on her back and the scratches are 3 marks that go straight down. Justin captures another EVP that sounds like growling. Steve and Kathy went upstairs and felt nauseated, dizzy and a loss of balance. Justin feels something in one of the bedrooms and has me go in there for a quick and dirty EVP session, I capture an Class A EVP male voice that says: “watch out!” The occupant Julie Miles and her daughter have heard that voice before, the voice that said to “watch out.” Justin captures a dark orb over Julie’s daughter’s head and then captures the very same dark orb hovering along the stairwell. Kathy captures an EVP that says it’s name is “Joseph”. The daughter describes an impish creature in this home that likes to break things. ENTITY IDENTIFIED: L STREET IMP. Deanna picks up an old man and the occupant Julie Miles says that there is an old man that hangs out in the patio. GHOST IDENTIFIED: PATIO OLD GUY. Kathy captures a face along with a full body apparition on the back window of the home. Amazing photo! I believe one of the photos is of the Patio Old Guy. Good catch Kathy! Justin captures an EVP when he asks….”what is your name?” The entity says in a whisper “Pete”. The whole team gathers around the stairwell and I conduct several EVP sessions and on the last EVP session, I tell the entity it’s your last chance to let us know that you are here. I said, tell us hello. The entity says “hello” and at the end of the session, it says “thank you”. During this time, Big Al hears a popping sound by the front door. We conducted 3 investigative sessions, an initial briefing and 2 regular briefings. When the investigators left, Deanna conducted a metaphysical cleansing and I conducted a Roman Catholic house blessing.